PLEASE DESCRIBE YOURSELF IN A 1 or 2 SENTENCES: I’m a work in progress— constantly evolving, learning, contemplating what it means to be a mother, a creative and friend. Oh, and I’m a helluvah lot of fun! 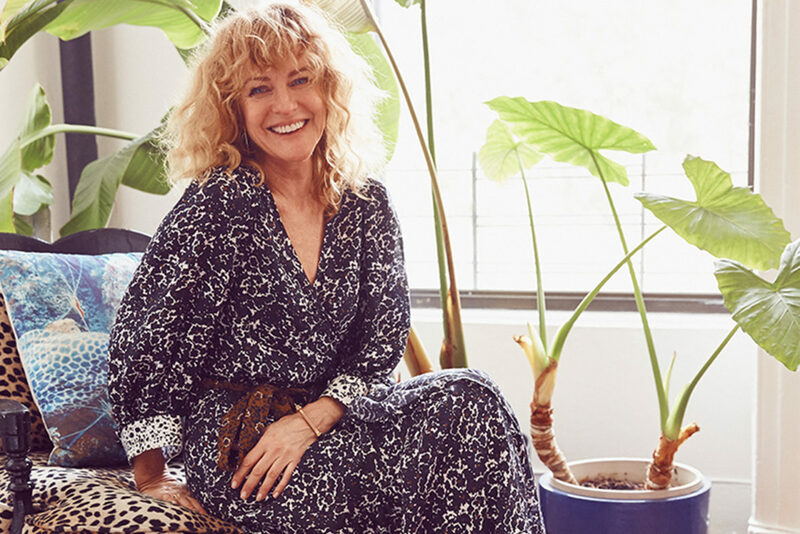 Mindi Smith is many things: mother, creative director, stylist, and most recently, founder of The Little Red Planet, a mindfully curated online children’s boutique. Her eclectic trademark style resonates with a downtown sensibility that is equal parts bohemian and classic contemporary. 1. Which is the most fascinating, even simple item you ever bought for children? I fell in love with this sweet little organic cotton sling I carried Marley in for the first four months of her life, it was great, I could transport her, breastfeed her (with a scarf over my shoulder), run errands, make dinner, vacuum, get on and off the subway easily—, it was so versatile, comfortable, and created this natural swaddle. Also, there was this gorgeous, floral cotton tank with hand crochet detailing and wooden buttons that I picked up for like ten bucks at a flea in the South of France. It was big for her at the time but I couldn’t resist, she wore it as a dress, then a tunic….and finally a top. I ended up selling it at a stoop sale last year for about the same amount of money I paid for it. It was beautiful. 2. Is there one children’s shop which has put a magic spell on you? I love the magical fantasy of Playing Mantis in Tribeca. They have a really large, super creative selection of handmade European wooden toys. I got Marley’s wooden kitchen set there, her dollhouse, train set, and some incredible mobiles, one of which still hangs in my living room—it’s a green toy store alright but super special. When I was styling I used to buy their costumes for my stories too…..beautiful old medieval costumes. 3. As a child… do you remember one special item you had been wearing almost day and night? 4. Your favourite children’s book? 5. You are based in NYC… What’s the best place for kids and teenagers there? The sad truth is that these days the kids’ relationships are mostly lived out virtually, in their rooms. But Chelsea Piers is great if they’re involved in sports. And hands down NYC has the BEST parks – Central Park, Bryant Park, Brooklyn Waterfront Park, Madison Square Park, Hudson River Park and Prospect Park. 6. Which museum even kids would spend hours in? Marley liked the Brooklyn Children’s Museum! 7. Which hotel and restaurant do you recommend for friends with kids in New York? With kids I would say Air BnB all the way. Restaurants on the other hand… honestly, the best part about raising kids in this city is exposing them early on to all the different cultures and cuisines—Marley came with us everywhere and to these days loves sushi, Indian, Moroccan, Thai and Korean. If you are visiting and want to do the tourist thing, Ellen’s Stardust Diner is an awesome 50’s diner with a Broadway singing wait staff. And Ninja in Tribeca is a very cool themed Japanese spot. 8. The best place you have recently been with kids? Costa Rica wins. We really loved the Caribbean side as it’s more native. We stayed in Puerto Viejo, a sleepy little Rasta town with horseback riding, snorkeling, a nature preserve (yes sloths! ), zip lines, waterfall hiking and of course, surfing. 9. What was the most touching experience you had with children? As a kids’ stylist there’s too many to count (simply holding a baby is the best medicine), but one of the nicest feelings is when you work with a child and then months pass and you work with them again and they remember you, run up to you, and give you a huge heartfelt hug. 10. The ONE family ritual you cherish most? We grew up in Michigan and all the kids learned to ski around the time we could walk. We had a ski hill (not mountain but it did the trick) blocks from our house that we were members to. There was night skiing! We had so many memories on this mountain with both friends and family. I must say one sport that the whole family can enjoy together is pretty powerful. 11. Share with us your favorite website and 3 Instagram accounts. … confidence, compassion and love. Follow The Little Red Planet on Instagram.